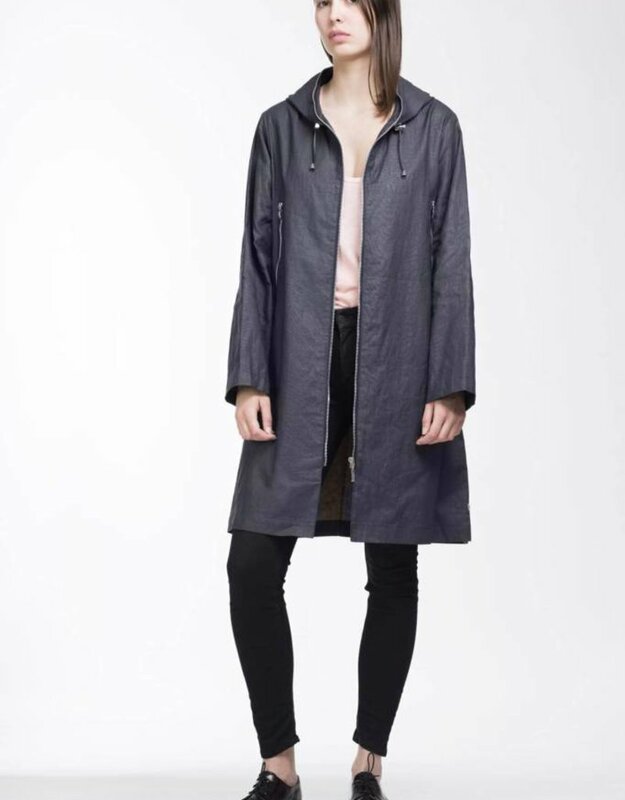 SS18 LONG ZIP FRONT HOODED WAX LINEN JACKET MINA PAL - Duet LLC. 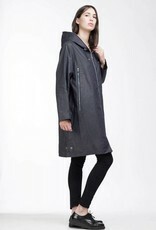 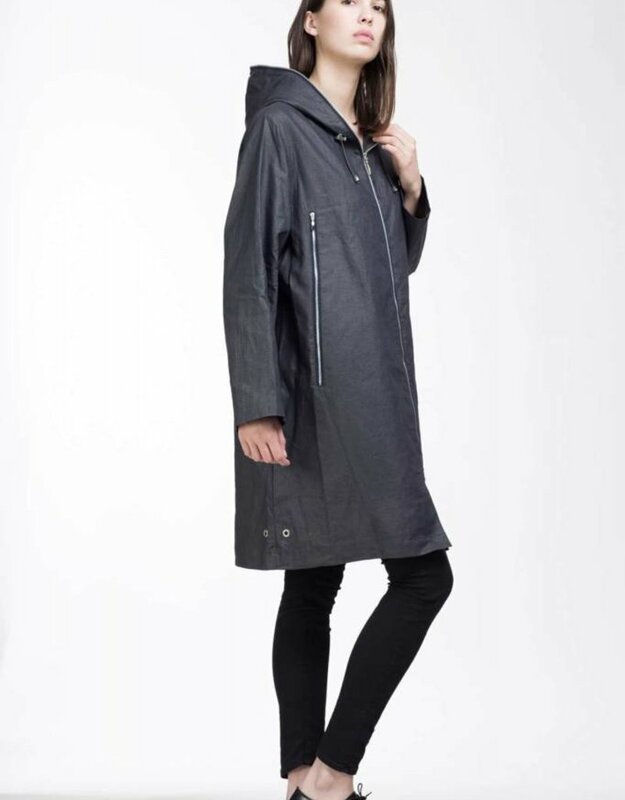 Parka with a zip up to the top of the hood. 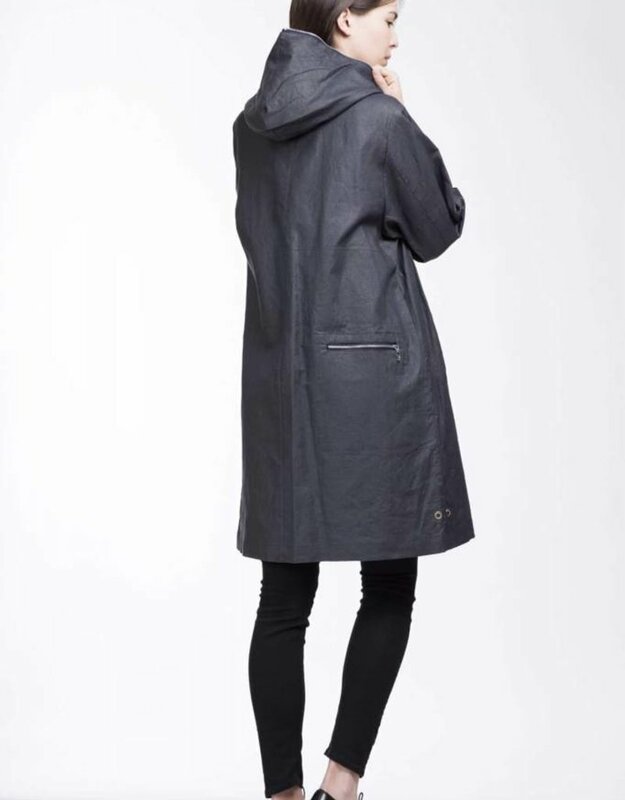 Two big zipped pockets at the front and one zipped pocket at the back.